what is enterprise risk management framework? what is enterprise risk management in insurance? what is enterprise wide risk management? why enterprise risk management is important? what is corporate risk management? what is enterprise risk management in banks? why enterprise risk management is necessary? why risk management is necessary? the value of corporate risk management? the value of enterprise risk management? benefits of enterprise risk management? benefits of implementing enterprise risk management? Risk Management is basically a specified process of identification, examination & determination, evaluation and treatment of loss exposures. The definition of risk management also includes monitoring the financial resources and risk controls, for alleviating the detrimental effects of loss. Enterprise Risk Management (ERM), widens the scope of standard risk management definition. ERM defines a risk as any factor, visible or unforeseen, which can thwart the company’s endeavor of achieving it’s objectives. In case of unforeseen events like accidents, some methods or guidelines can be delineated which can help in anticipating such events. Remember that, a predictable event always causes less risk, as there are always ways to prevent it, minimize it’s effects, do an estimation of loss. Enterprise Risk Management is crucial in allowing companies to pragmatically deal with risks and uncertain situations so that their profitability and brand value is increased. It helps in finding and choosing the alternatives to the situations that are termed as ‘risks’. Enterprise Risk Management is also helpful in ensuring effective compliance with the prescribed regulations and laws. Herein, the framework comprises those practices that can optimize the risk taking factor; when the market value as well as book value accounting are relevant but not completely sufficient. From one corporation to another, risks vary on the basis of numerous factors, important ones being industry, size, multifariousness of the business, and capital’s sources. A specific set of practices which are perfect for one, might not be as beneficial for the other corporation. In line with this, the value of corporate risk management may be more mysterious as compared with that of financial risk management. ERM is also defined by the Casualty Actuarial Society (CAS) as the discipline using which a company does multiple works like assessment, controlling, exploiting, financing and monitoring different types of risks that may occur from different source, with the aim of increasing the company’s value in short term and long term. In 1994, the COSO Internal Control-Integrated Framework was amended. It has 8 Components and 4 Objectives. What is Enterprise Risk Management for Banks? In the banking sector, risk management is in spotlight as today banks understand the importance of an ERM program or Enterprise Risk Management in creating a risk function which will help them stay at bay from the known and unknown risks of this sector. ERM can be considered as a set of procedures through which banks can effectively deal with varied risks, thereby augmenting the stakeholder’s value. It allows banks to move ahead towards the “holistic scenario” of their enterprise wide risks. The landscape of banking and financial sector has plethora of risks, which are only increasing with the passage of time. Hence, ERM program is quintessential for the entire banking sector. 1st Step: Understand all possible risks and risk factor. Promote the risk culture throughout the entity. 2nd Step: Develop a framework which should be standardized and enterprise-wide. It should include general definitions assumptions and analytic. 3rd Step: Frame all the risk objectives in perfect alignment to corporate targets, culture and risk appetite. 4th Step: The risk management should be autonomous of the business lines. It means that ERM should be reported directly to the higher management like Board of Directors instead of CEOs and other seniors. 5th Step: Identify all the “Risk Areas and Domains”. This will help in defining the perimeter of “risk management” in the company. 6th Step: Frame all the threats, and vulnerabilities. Create a ‘risk profile’ for every specific risk. 7th Step: Select the strategies which will mitigate the risks and it’s effects. Also, set up a system which will monitor and manage all the ‘risk profile’ continuously. Strategically, there are many benefits of risk management and the ERM is considered as the crucial part of corporate governance framework. 1. Strong and continuous support from the higher management. 2. Exhaustive and adequate resources, especially in terms of trained experts and cost. 3. Professionals and all-inclusive knowledge of every aspect of risk management. 4. The focus on achieving the target without giving up in the middle. Example: One of the most difficult step is to integrate the risk management of credit, operational, market and liquidity with the other “financial” risks as it requires momentous efforts, time as well as cost to better the fundamental data management. What are the challenges for Banks in adopting ERM? Betterment of Efficiency: Attaining optimum efficiencies in every process of risk and control. Improvising the unifying, coordination and streamlining various procedures. Who is a Risk Management Specialist? Risk management specialists are financial managers who are responsible for managing various risk taking activities to keep the business growing steadily along with yielding profits. These specialists have specific training, talent, skills and experience for identifying a set of risks that may lower the cash flow, affecting the revenue of the business. What does a Risk Management Specialist do? Their main purpose is to minimize the possible losses or risk for the business they serve. Some of the mentioned losses include cash flow, personnel / employees, or property. Their responsibilities also include identification and dealing with issues which may concern safety or insurance, that could lead to litigation if overlooked. 1. Assessment of areas which can result in a risk; thereafter taking action to minimize or eliminate the found risks. 2. Examining work conditions, filing workers comp claims, reading the guidelines / requirements related to code & legal aspects, surveying clients, looking for situation where liability might occur and discussing workers’ pay, working environment and other factors with the union. 3. 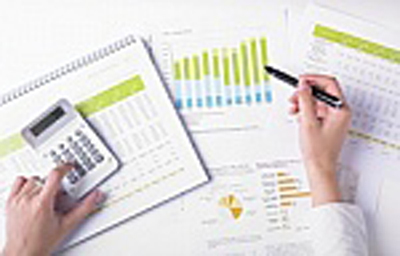 Analyzing reports and cash flow data to identity and/or prevent any fraudulent activity. 4. On discovering a risk, the risk specialist should compile all the information to create a streamlined report, which should be clear and info-graphic. 5. Apart from creating reports, the expert should draft plans for reducing, avoiding, or eliminating losses and liabilities within the organization. 6. Their job responsibility also includes enforcement of the drafted plans, which may include assorted schemes related to problematic employees, blueprinting work and safety regulations, and up-scaling various procedures that comply to the latest laws and legislation. Credit Risk Management Specialist, Financial Risk Management Specialist, Global Risk Management Specialist, Risk and Insurance Specialist, Risk Management Expert, Risk Management Professional, Risk Specialist. This bank has constituted a risk appetite statement in reference to it’s primary risks which include the main risk appetite statement, supporting framework for risk management along with guidelines of implementation. It is quintessential for a successful ERM process to assure that the risk taken by a organization is remunerated with some proportionate reward. It is also important that the organization is completely and comprehensively aware of all types and level of risks, which it is willing to take on. ERM is now considered as a method of integrating risk and control processes that creates a standard blueprint which is helpful in the assessment and monitoring of each kind of risk. A unified model delivers actual benefits in terms of cost apart from giving a much better overview of risk to the organization. With Enterprise Risk Management process in banks, corporate, financial companies, and other businesses, the aim is to make it more robust which supports the entire functioning of the business and to minimize every possible loss. Author Bill Trueman is Fraud and Risk Management Specialist providing his risk management consulting services to businesses & organizations worldwide. Currently he is director of RiskSkill as well as he is an active member of AIRFA. UK Fraud Launches New Total Risk Operation for Corporates. Leading fraud prevention consultancy UKFraud (www.ukfraud.co.uk) has launched a new risk consultancy operation called Riskskill (www.riskskill.com). The new operation delivers ‘total risk’ assessments for major corporations. These are aimed at solving problems and engineering bespoke risk reduction solutions anywhere across the business including: organisational, management, financial control and IT. The assessments analyse those areas where organisations could be at risk, including: fraud, cyber crime breaches, bad debts and other write-offs, along with compliance penalties and legal losses. Having identified specific areas of risk, Riskskill will draft detailed business process, measurement, HR and IT system change plans. The plans which are backed-up by comprehensive coaching, training and mentoring programmes aimed at engineering ground-up solutions throughout the client’s organisation and systems. 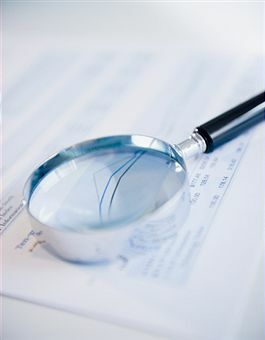 Assessments are based upon proven analysis techniques used by UKFraud in the fraud and business consultancy sectors. The new operation draws upon both UKFraud’s resources and a selection of experienced ‘best of breed’ risk consultants, each a specialist in their own field. Bill Trueman, the CEO of UKFraud and of the new Riskskill operation, believes that the new consultancy offers a radical alternative to major corporations suffering loss across the enterprise. In his view, “If the shareholders of some companies knew of the risks that their organisations faced, there would be many more demands for greater accountability and calls for changes to board membership at AGMs. However, in many cases the risks and exposures are played down or even concealed. Sometimes they are simply attributed to economic and external factors, rather than addressed. “Major corporations are somewhat slow at making major reactive changes. However, they are also slow at implementing longer-term strategies to address risk ‘gaps’. As a result, they can often be aware of risk and the related or potential losses, but cannot adapt fast enough to manage the change required professionally. Sometimes the risk hot-spots fall between organisational silos so that no one area of the business is responsible. In these cases, what is needed is a more radical approach. It maybe that an IT related solution is required on the one hand, or simply a specific organisational change on the other. However, it frequently takes an experienced external viewpoint to spot, monitor, analyse and eliminate the risk fully.